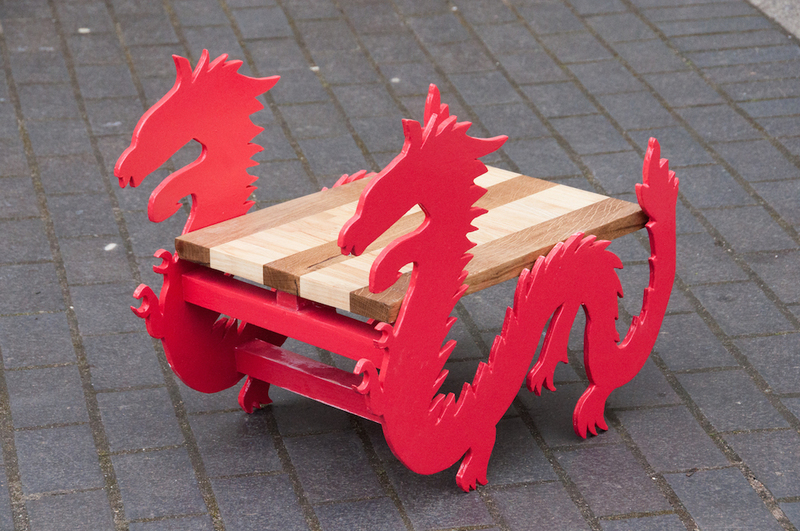 This years Design and Technology department exhibited a sample of KS4, GCSE work from Resistant Materials and Graphic Products. Resistant Materials’ pupils designed and made beautiful sustainable furniture, recycling the wood from the old school DT work benches. In contrast, the Graphic Products’ pupils produced two projects; one was to design a range of promotional items for a company, where they printed promotional T-shirts with swing tags and packaging. The second project was to design and make high quality secure packaging for a three dimensional product of their choice. Resistant Materials and Graphic Products pupils were also required to produce a portfolio recording their ‘design and make journey’ for each project. This required pupils to develop their knowledge and understanding on materials and the design -and-make processes.